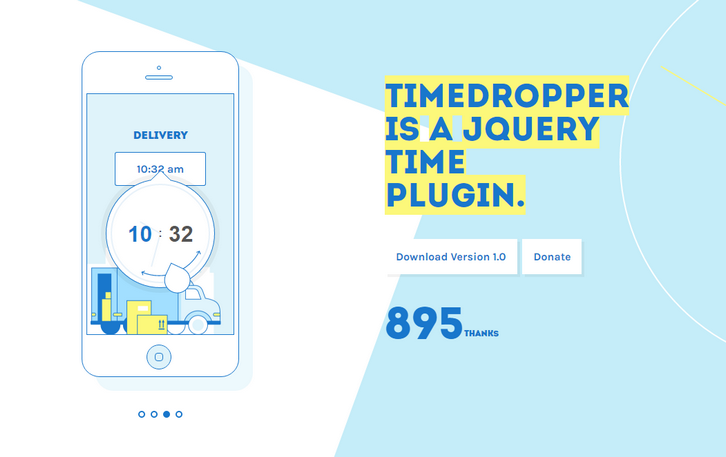 Timedropper is a jQuery UI timepicker. Manage time input fields in a standard form. Focus on the input to open an small interactive timepicker. You can set time in 12-hour clock in which the 24 hours of the day are divided into two periods. You can also enables time change using mousewheel. Animation Style to use when init timedropper. There are three available animation values: fadeIn(default), dropDown.